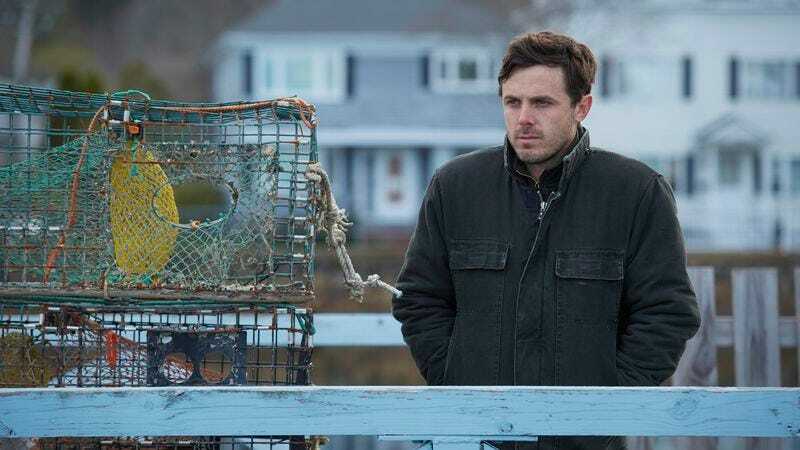 They’ve been gushed over at festivals, but now trophies are in site for Natalie Portman’s performance in Jackie and Kenneth Lonergan’s much praised Manchester By The Sea, thanks to the Gotham Awards. We must remind you that these have nothing do do with Batman, which, frankly, is better these days. The Best Feature contenders feature a bunch of works from indie veterans: Lonergan’s Manchester, Kelly Reichardt’s Certain Women, Richard Linklater’s Everybody Wants Some! !, and Jim Jarmusch’s Paterson. The last slot goes to relative newcomer Barry Jenkins, whose Moonlight has been wowing festival goers. The ensemble from that film, which casts three actors of differing ages in its lead role, will receive a special Gotham Jury Award. Meanwhile, the leads of Manchester and Paterson—Casey Affleck and Adam Driver, respectively—are represented in the Best Actor category along with Jeff Bridges for Hell Or High Water, Joel Edgerton for Loving, and Craig Robinson for Morris From America. But it’s not all about movies: Crazy Ex-Girlfriend, The Girlfriend Experience, Horace And Pete, Marvel’s Jessica Jones, and Master Of None are all up for the longform Breakthrough Series prize. Guess it pays to either be on Netflix, be created by Louis C.K., or have the word “girlfriend” in your title. You can see a full list of nominees over at Variety. The awards will be handed out November 28.